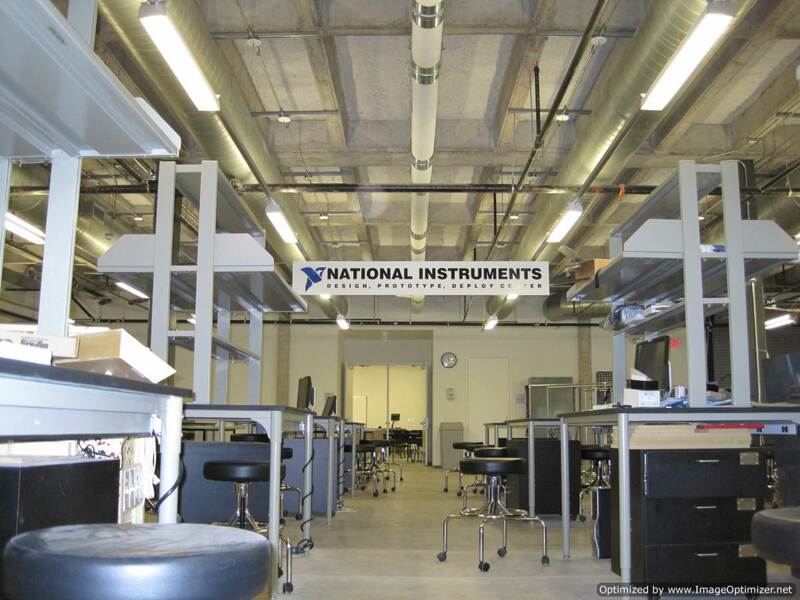 An extensive closet of National Instruments data acquisition equipment and software is available to teams. Visit the OEDK's NI Closet to see what is available, or ask an OEDK staff member for for assistance. To use the NI equipment, you must check it out through an OEDK staff member or lab assistant. Click the categories below for a complete list of NI resources that are available to OEDK users. The OEDK also has a partnership with National Instruments to provide equipment and technical support, and the experience of faculty and alumni to help guide students. "National Instruments is committed to investing in innovative engineering education initiatives that combine practical knowledge and classroom theories with real-world applications," said Ray Almgren, vice president of academic marketing at NI. "We consider the vision of the Oshman Engineering Design Kitchen at Rice to be a pioneering example of how industry and academia can work to provide a project-based learning experience to better equip our engineers of tomorrow."